Mr. Deng sent me some stuff! The box took like 5 months to get here but here tis! 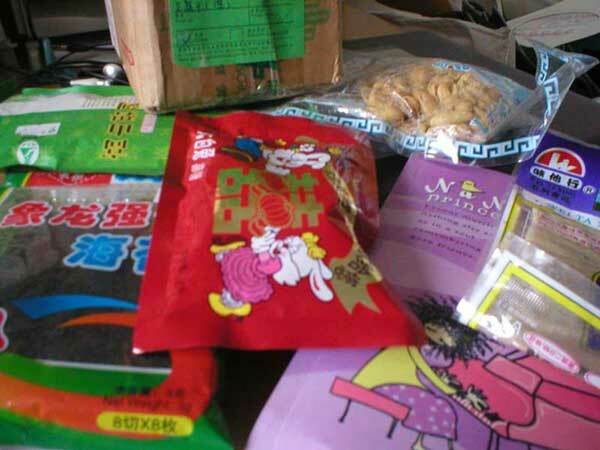 Not sure what some of this stuff is but Mr. Deng says one packet is 'horsebeans'. Thank you Mr. Deng! How are you these day? I think the new movie you make is very funny, I hear the sound of everyone laughing at that on my computer! and hope that your nehbor can cure the pockmarks onto his arm. I am return to Suzhou now from my trip to Chengdu city for my boss. My boss praise me for my doing that and to get the order from the company! My boss is person that like to make money very a much. 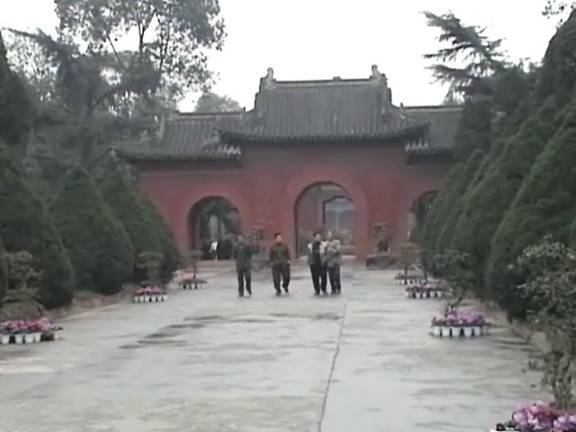 I see many thing in Chengdu city and even visit the famous place with the Franch man who came there also to do the sourcing. It is so excite! 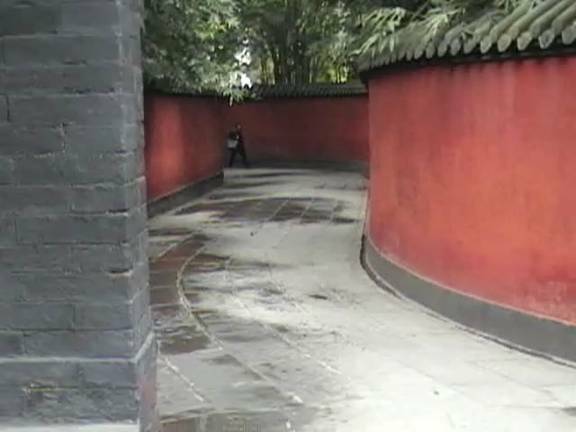 In Chengdu city the wall is a different red color than in Suzhou ! This road long time in the ago go to the Palace of Mystery Beauty and Harmony but now today it go to the McDonald restaurant. 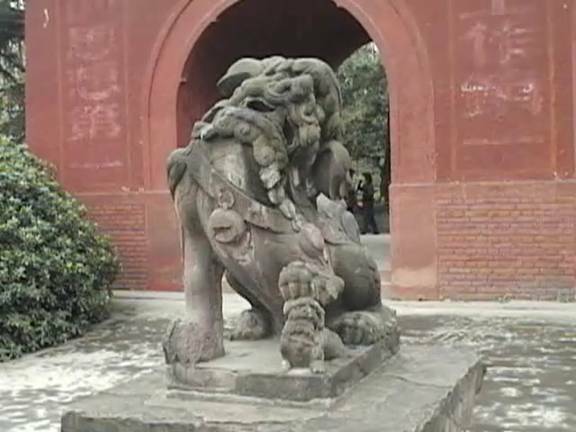 The lion statyu. It look very scaresome! 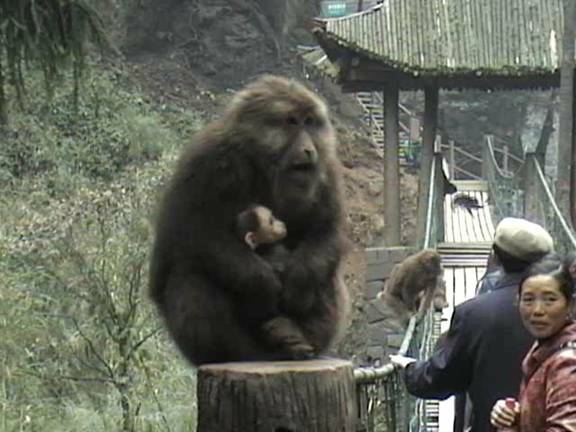 The Franch man and me go to the mountain named Mount Emei where the Buddhist live. In that place we see this sine that I think the USA people want to see becase they love the Donald Duck. This is the Donald Duck tree but I can not see the duck here. 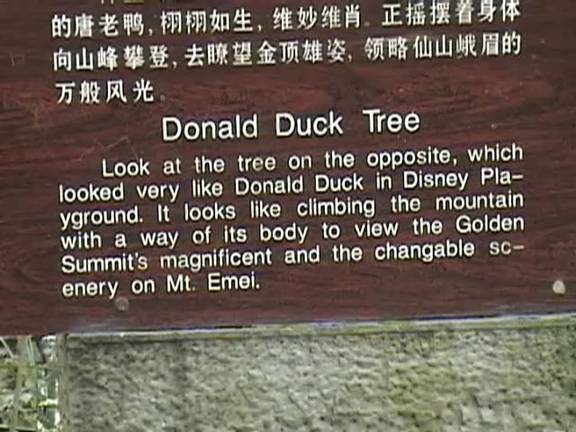 I think in the old time Chairman Mao stop and say the famous thing ‘this tree look very like Donald Duck’ so now everyone remember that thing.. but now the tree is different becase today is later. 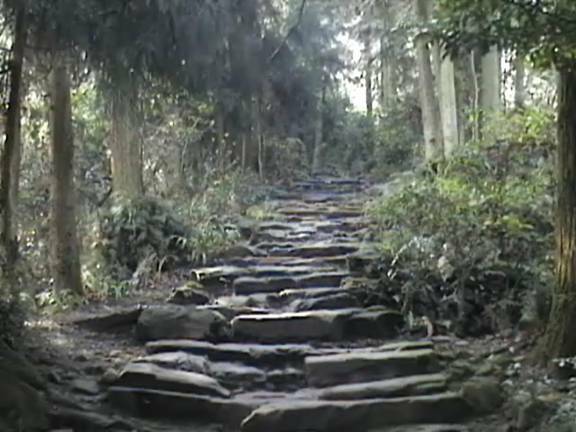 This is the step to the top of Mount Emei , but the Franch man was tooo fat to go to the top of the mountain so we did not go there. 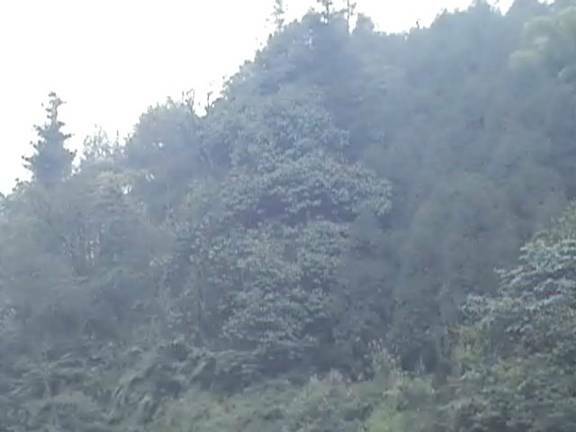 In Mount Emei you can see the Joking Monkey place! Everyone like to have the monkey jump on them and take the food! You should come to this place, why not try? 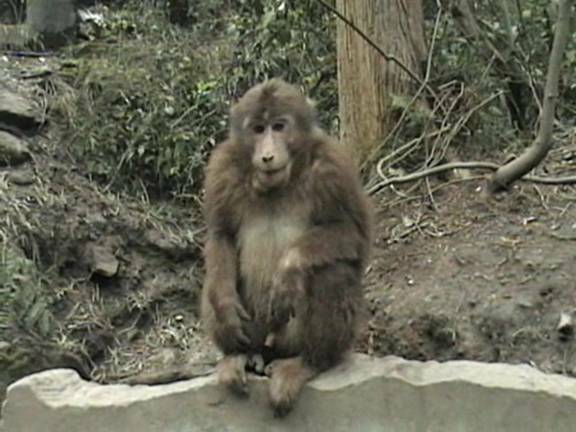 Here is another Joking Monkey. Do you think he is the boy? 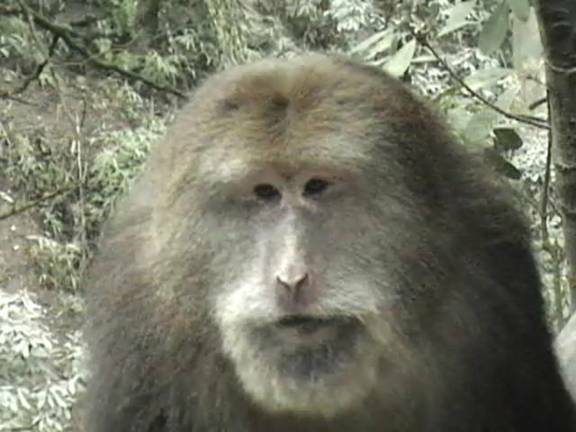 This monkey look very smart and not joking at all! Why he is so serious? You should be joking all the time! 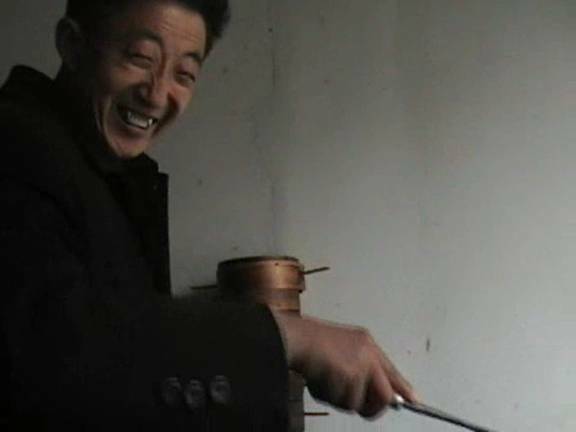 This is the man who cooked food for me at the restaurant in Chengdu . In Sichuan province the Chinese axcent is strange to me so I do not know what he is saying on me! 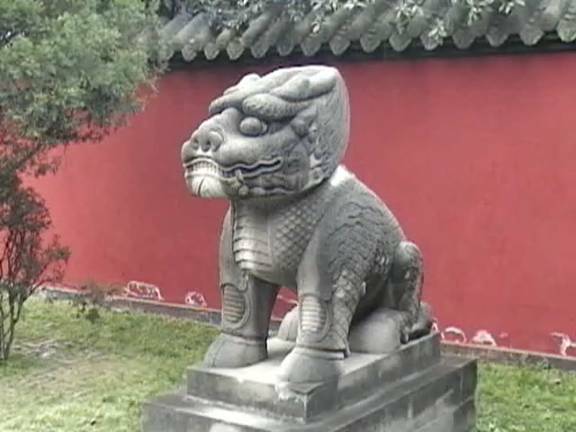 In Chengdu there is the famous museum for the ancient poem writer named Du Fu. He write many famous poem at that time when China was warring and many people die. My photo is bad for that place but I find the webbing at http://www.dfmuseum.org/ehtm/e-ctdy.htm if you want to see more of that thing. It is beautiful place in the side. The old people still lover! Another statyu. It is the female becase it is step onto the baby. 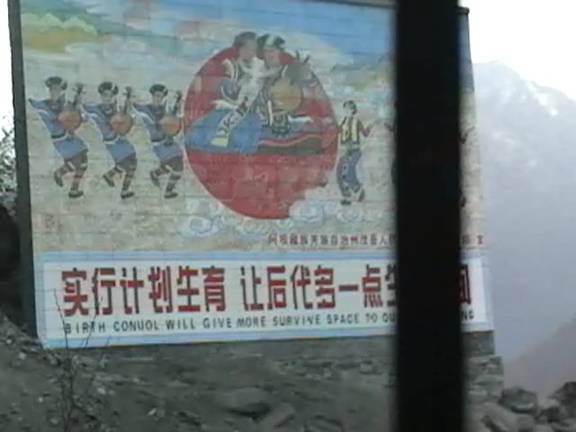 The sine is for to tell the Sichuan farmer people not to have so many baby. I see this sine on the bus backed to Suzhou . The Franch man fly on the air plane becase it is faster and he is the forgeiner but I must take the bus for 2 days to save the money for my boss. This is the end of my writes and photos at this time now. I hope you find my writes are vivid and full of terse explanations and vicissitudes! I thanks you for others to chat on me, I can practice my English more a lot these days. My emailing is [email protected] now becase Mr. Odd Todd give me this new one! 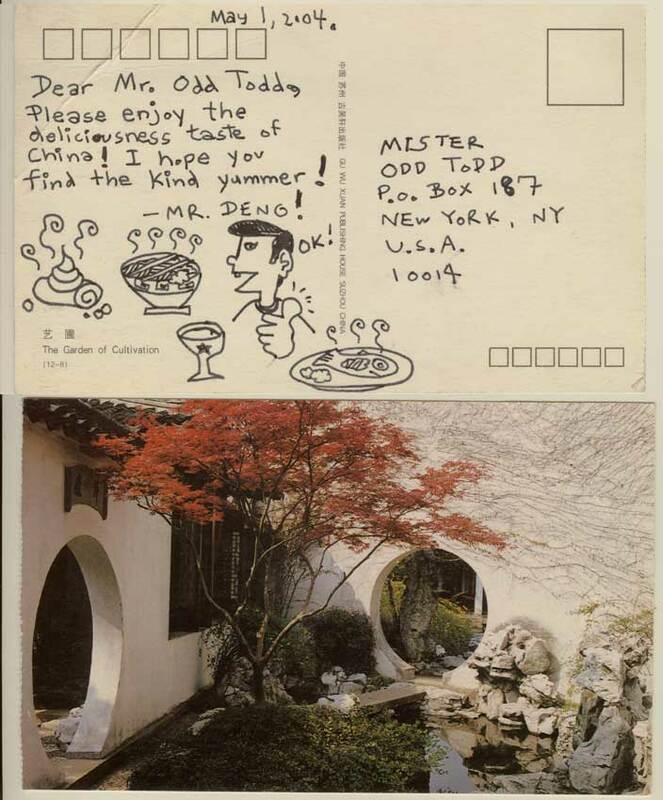 Odd Todd is so always kinding and gentile. Please Enjoy your time after you read this word.